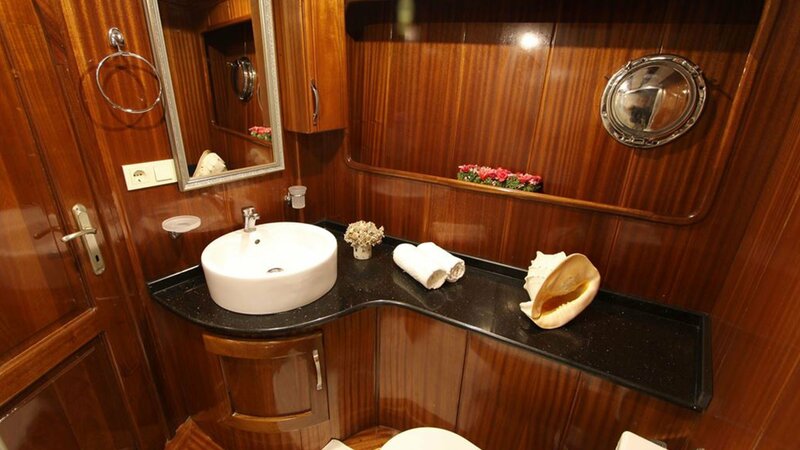 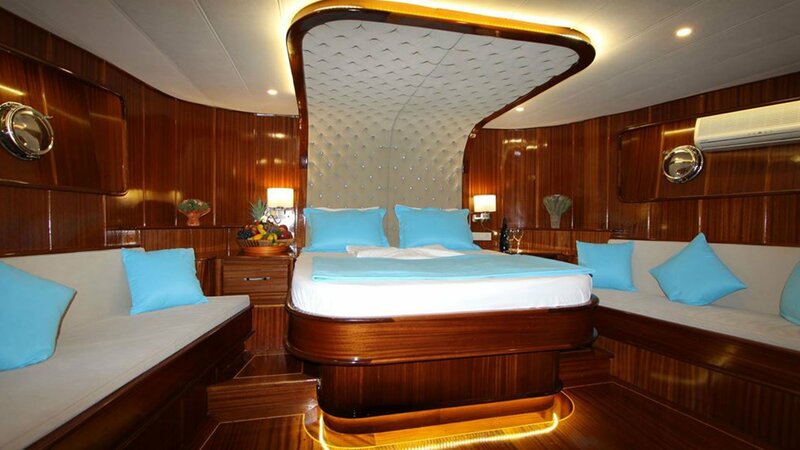 The yachts interior decor is elegant, with warm woods, neutral fabrics and a light and airy ambiance. 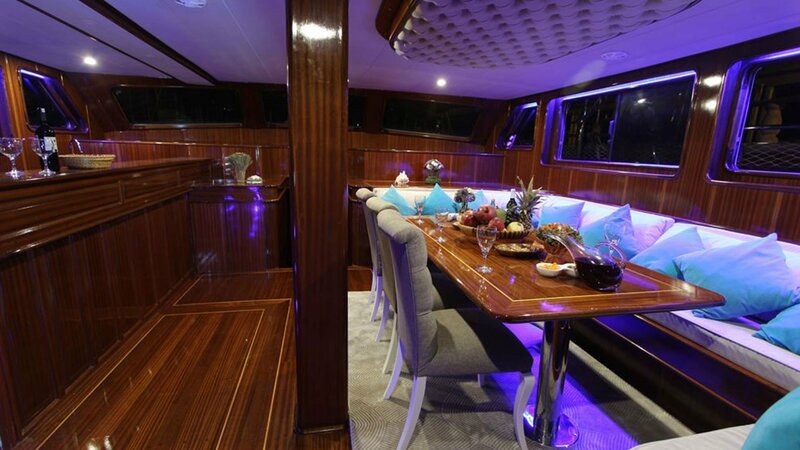 Her main salon is raised with surrounding windows to allow for plenty of natural light. 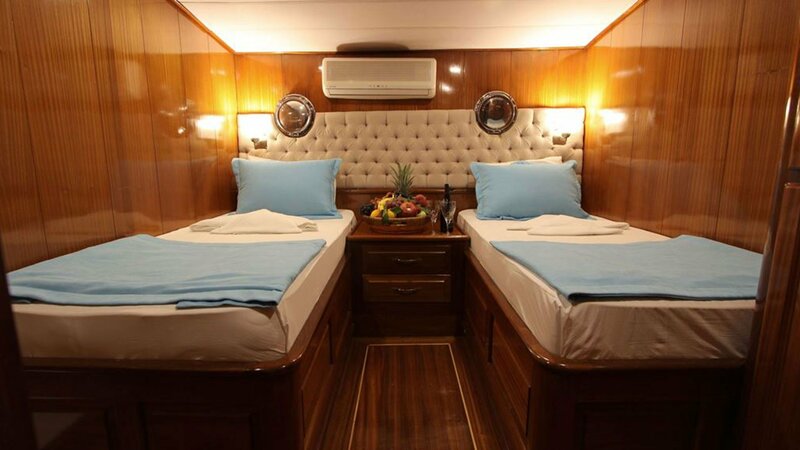 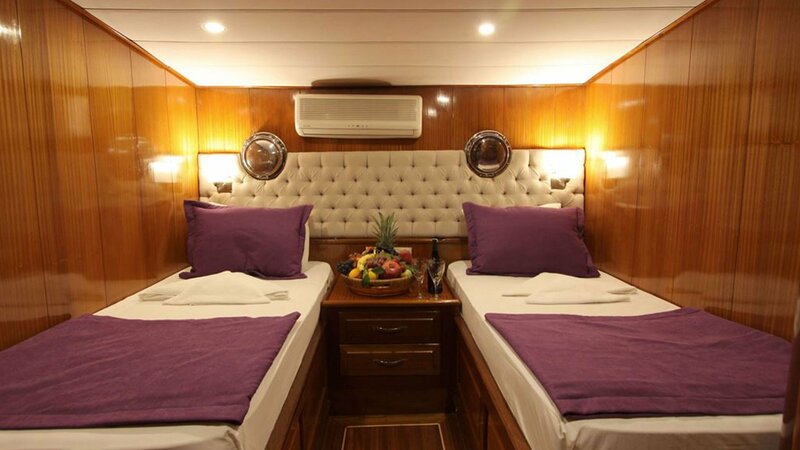 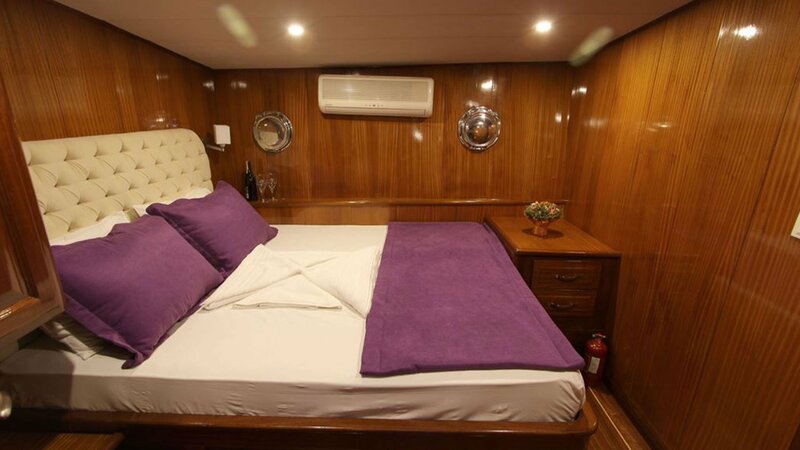 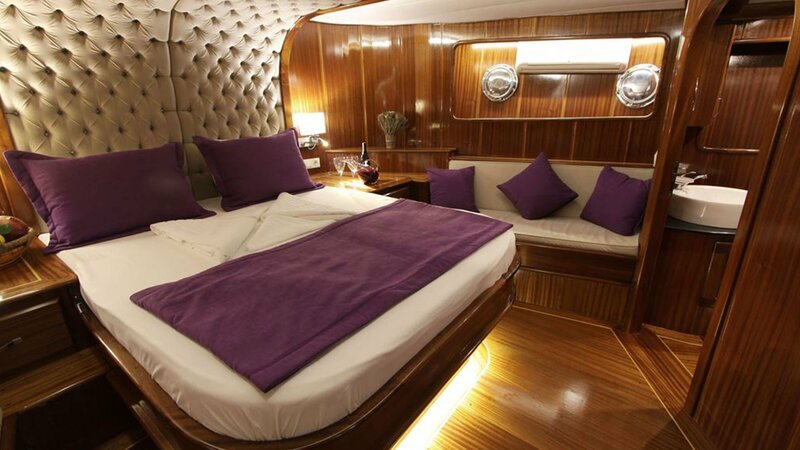 Below decks are 2 master suites, 2 double cabins and 2 twin cabins, all of which are ensuite. 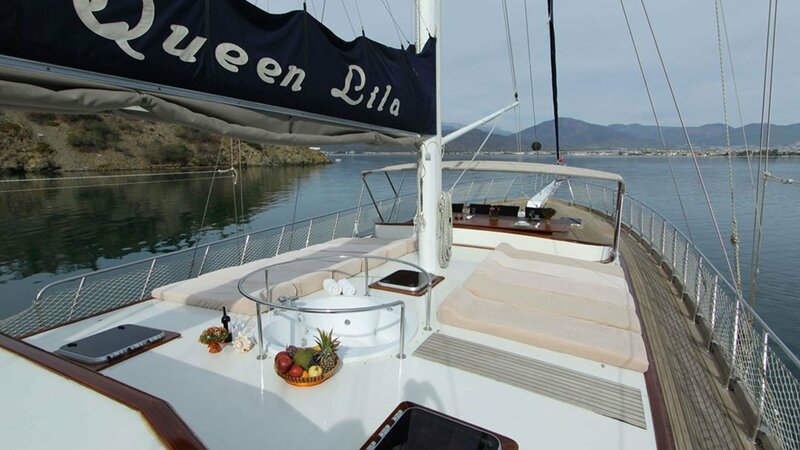 On deck, charter guests have plenty of space to relax and enjoy time with family and friends aboard the QUEEN LILA. 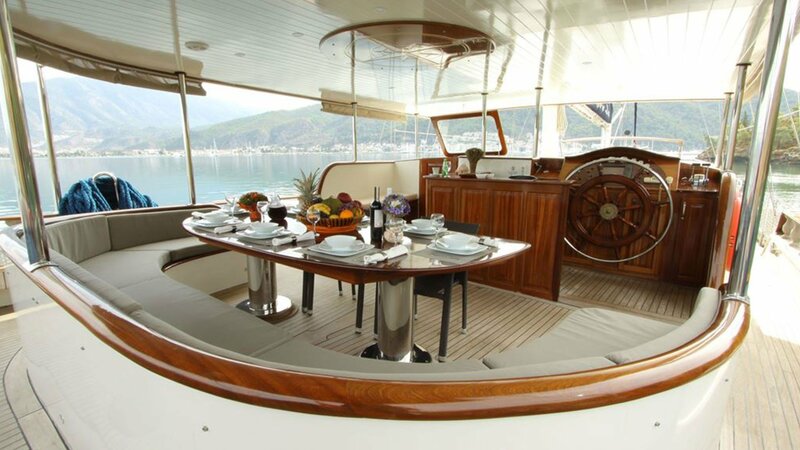 The aft deck is mostly laid to shade, with a built-in alfresco dining table, while further aft is a full beam sunpad/seating arrangement. 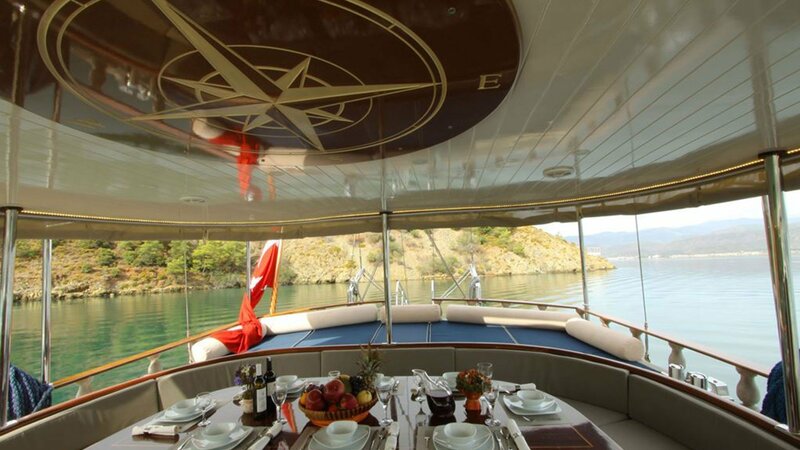 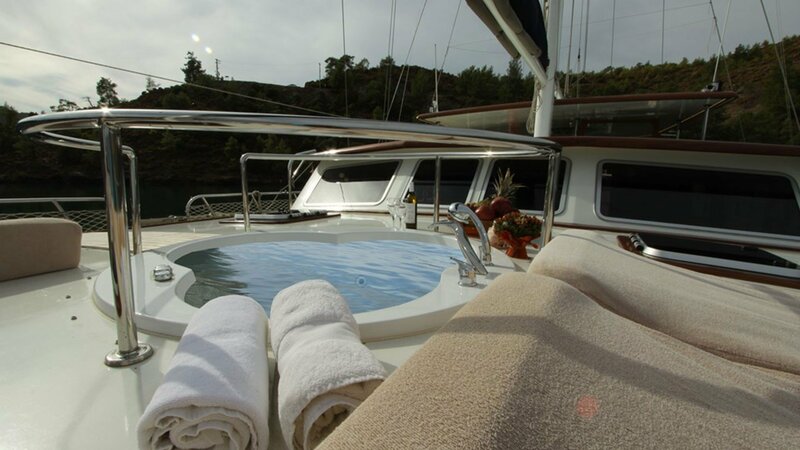 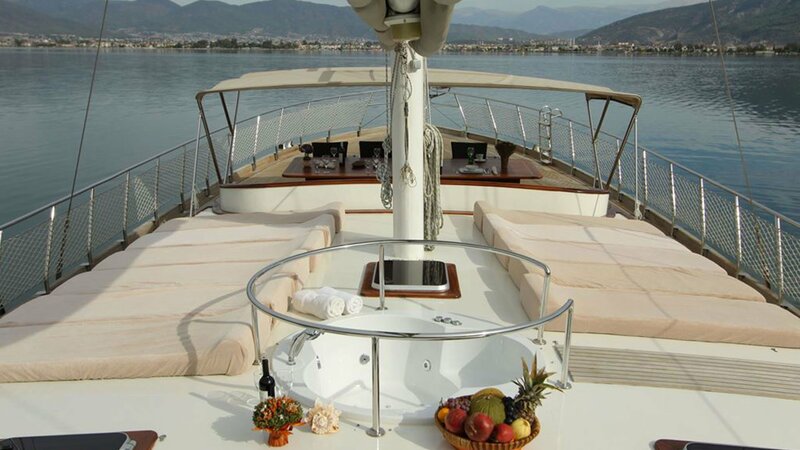 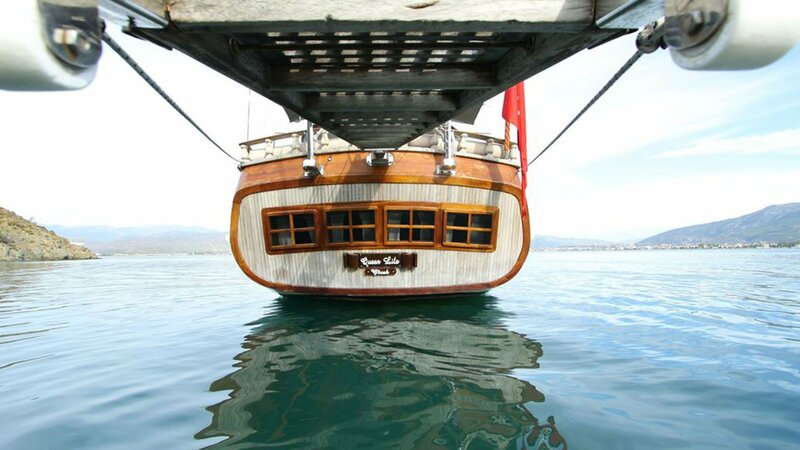 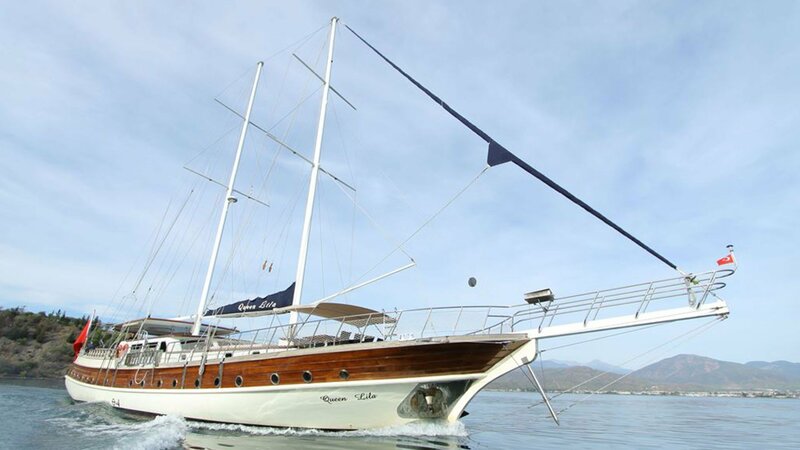 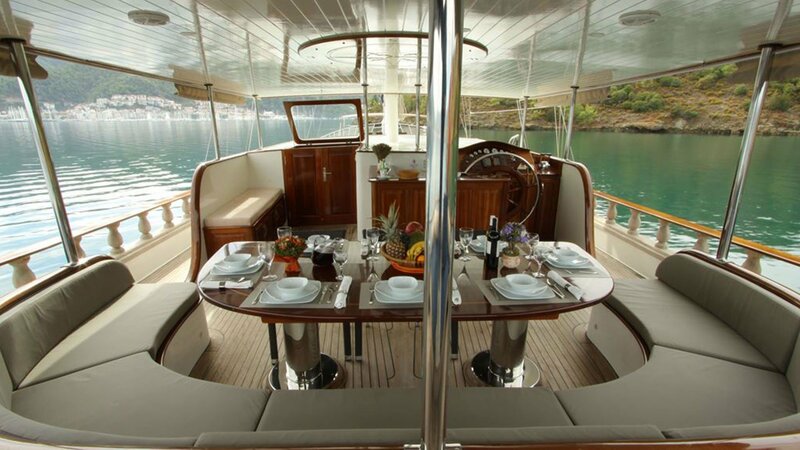 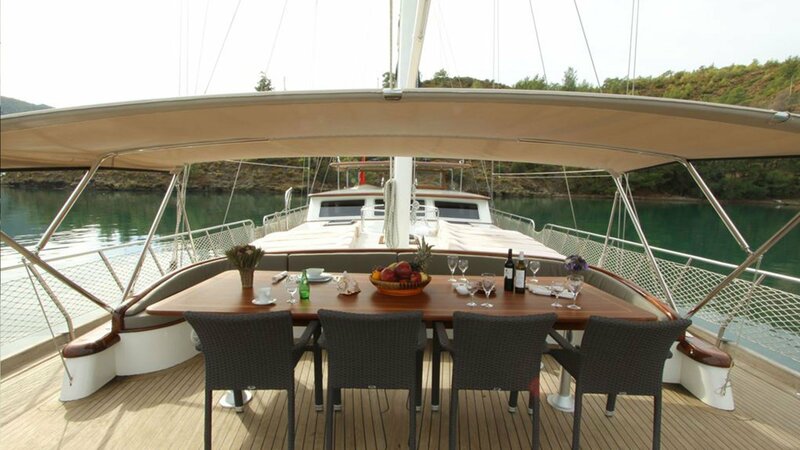 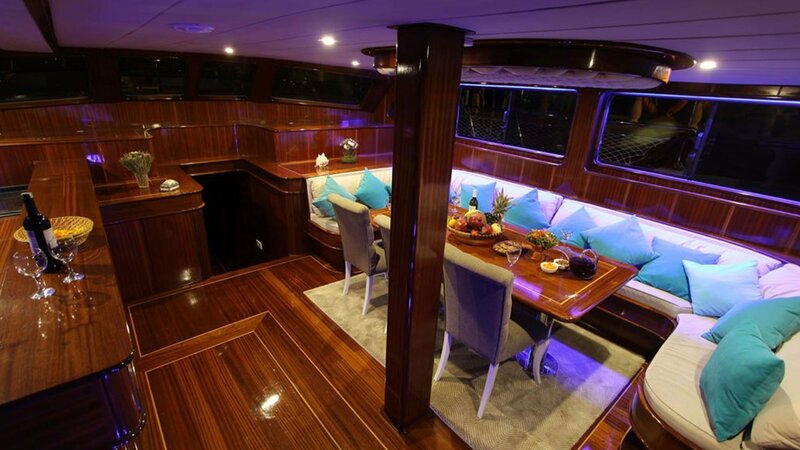 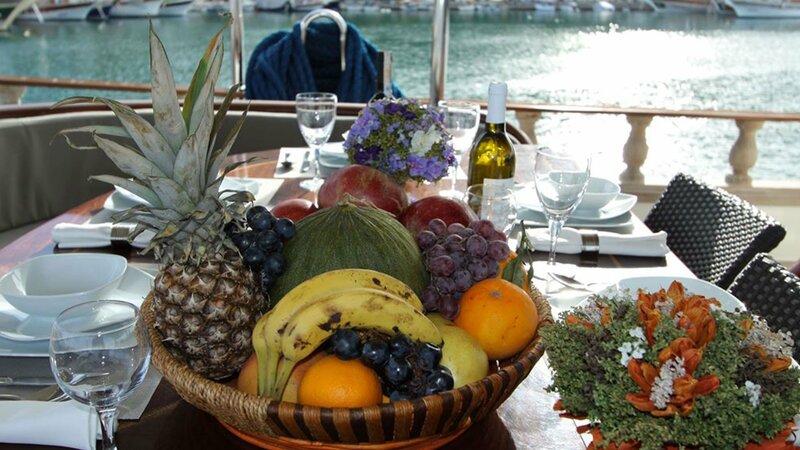 Moving to the foredeck, there is an additional alfresco dining table, numerous sunpads and a deluxe jacuzzi. 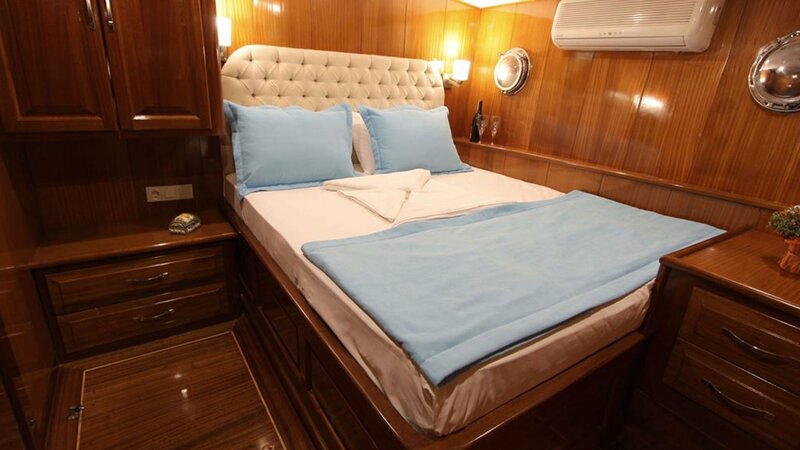 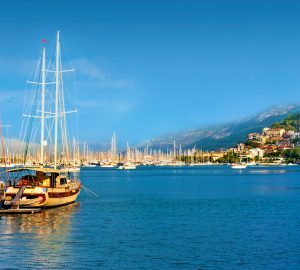 Accommodation is over 6 cabins, for up to 12 charter guests, comprising 2 master staterooms, 2 double cabins and 2 twin cabins.